Do we really want to live in a world where we drug test our kids? 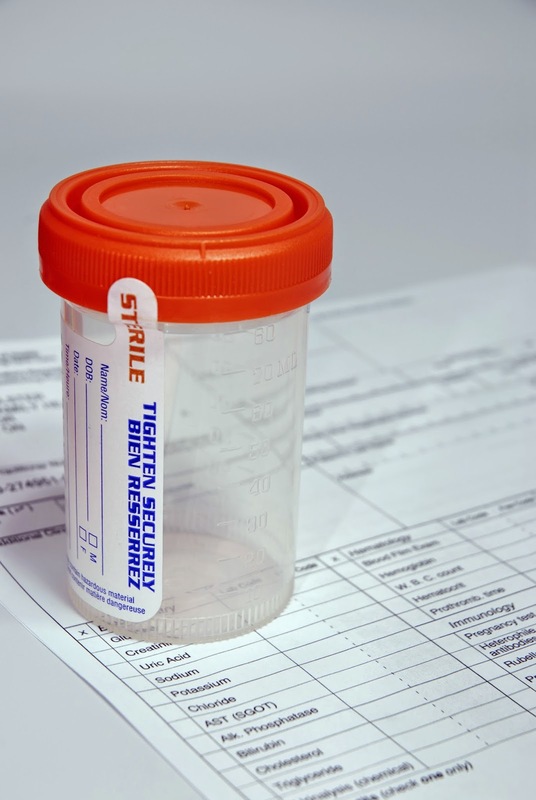 Each year the issue of schools drug testing our kids pops up and receives a flurry of media attention. A couple of weeks ago I highlighted a Herald Sun story titled 'Ice Hits Schools', a woeful piece of journalism that provided no evidence to back up the sensational headline and opening paragraph - "Desperate schools have flagged drug-testing their students to try to combat the rampant abuse of ice and other illicit substances". As I said in that blog entry, there was a very 'wishy-washy' statement claiming the paper had been told that "some schools" had made contact with agencies, asking about drug testing and that an agency "confirmed that it had been approached by both teachers and parents" but that was it! When you ask your child if they take drugs and they say 'no' - what do you do then? Last week I posted a link to a newspaper article on my Facebook page that told the story of every parent's worst nightmare - the drug-related death of a child. Jennifer and Cees Janson were brave enough to go public about the death of their 19 year-old son who was on a 'gap year' in Canada who suffered a suspected drug overdose after combining cocaine with sleeping pills in September last year. It needs to be made clear that the coroner’s report has not been finalised as yet, but according to Mrs Janson the preliminary findings do suggest that drugs were a contributing factor. 'Ice Hits Schools': Where is Media Watch when you need it? 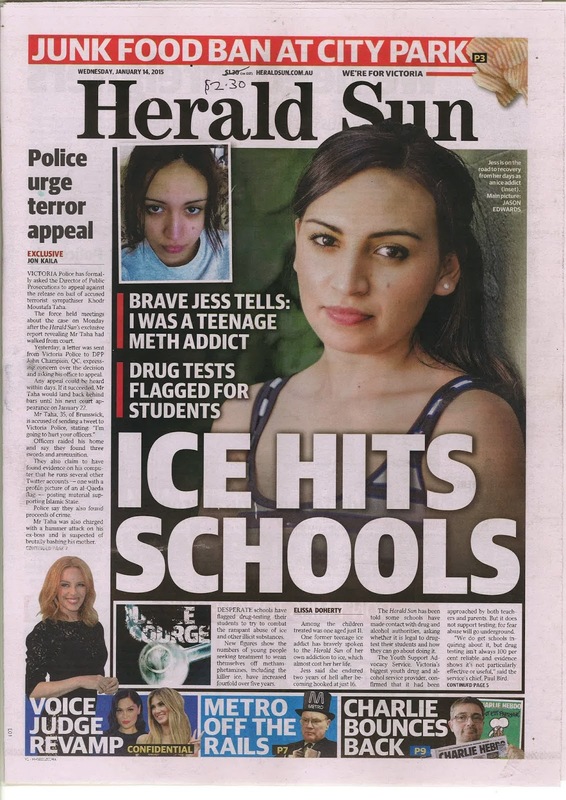 Earlier this week the Herald Sun ran a front page story with the headline 'Ice Hits Schools'. In reality that was not what the story was actually about - little, if any of the piece had anything to do with schools. There were in fact three stories written on the topic of methamphetamine, all presented under the banner of 'Our Ice Scourge'! The paper had found a 20 year-old young woman who was willing to talk about a period of her life when she was an 'ice addict' and this personal story (along with photographs) was accompanied by two smaller pieces, one on ice now being the drug of choice among male prisoners seeking treatment in Victoria and the other titled 'Drug testing mooted as ice hits schools'.